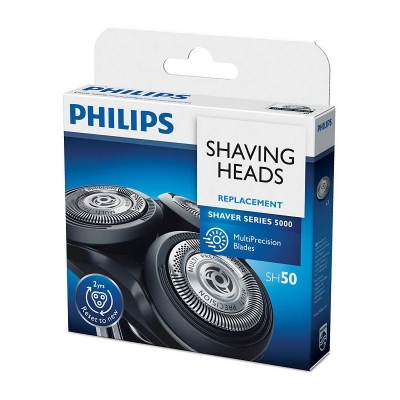 The Philips SH50 3pk shaver head fits Phillips Series 5000 wet and dry electric shavers. Slots to shave long hairs. The Dual Blade system lifts the hair with the first blade and cuts with the second giving a closer shave.